I Am begining to wonder if the fact that God gave us free will was it a very big Mistake. 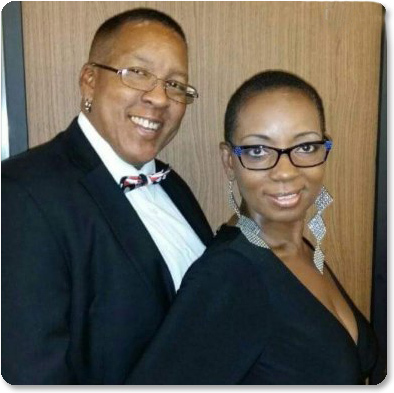 How can they just be ruining this little kids life from Birth… 5-year-old Sir Washington is being raised by two women who are lesbian partners and they are raising him as a girl. 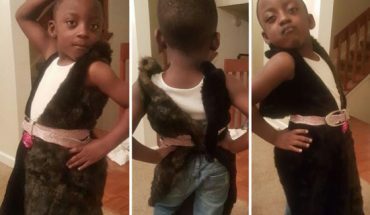 His mum, Tangela Washington shares photos and videos of Sir on her Facebook page showing him dress in female clothes and behaving like a female. He even makes his own clothes. “Our son, Sir, is 5 yrs old. He has been particular about what he wears and how it fits since he was 2 and a half. He began to show interest in designing clothes and then asking us to show him how to sew at 4. He is now creating and sewing (by hand) his own creations. He always models his designs “so I know how they’ll look” he says. We may have the next iconic fashion designer of all times on our hands! Take a look!